A beautifully woven hammock of silk catches the light. 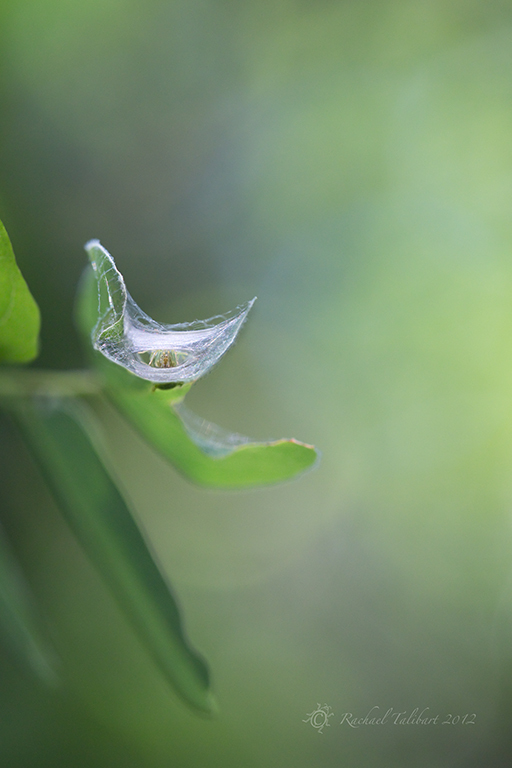 Inside, a tiny green spider awaits its next meal. It is definitely spider season here. I wish all the huge ones presently invading my home looked like these instead. 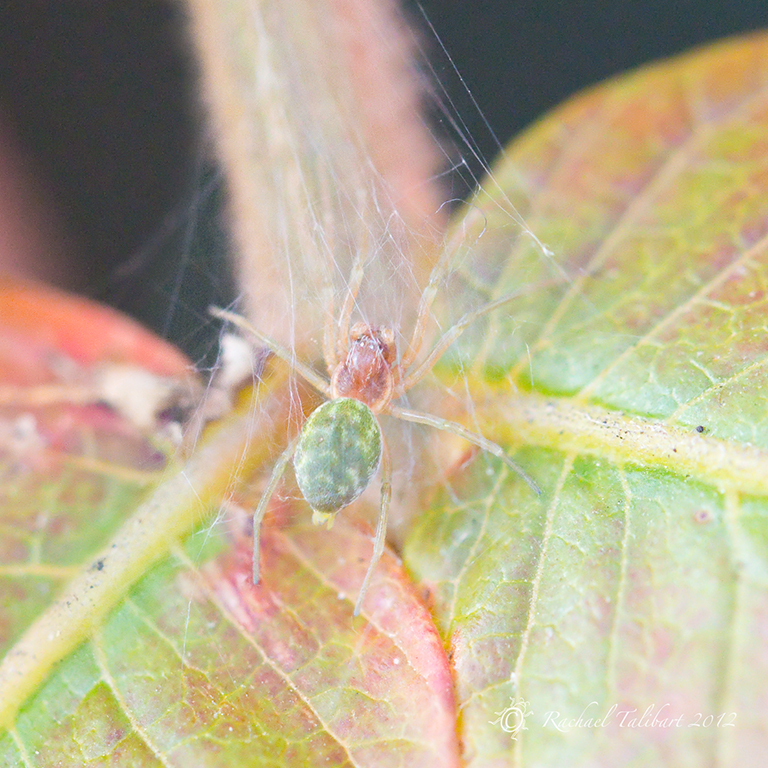 This entry was posted in garden, nature, photography and tagged araniella cucurbitina, cucumber green orb spider, hammock, macro, nature, nigma walckenaeri, photographs, photography, silken, spider, web by Rachael. Bookmark the permalink. 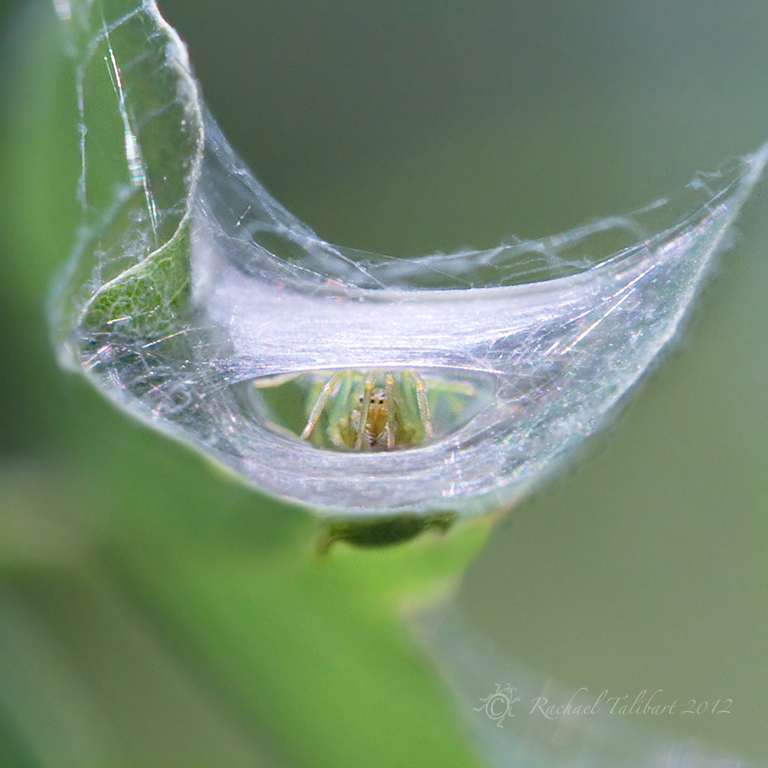 I have a series of similar looking webs covering small holes in the wall in my garden. I really ought to investigate to see what has made them. I wonder if I can get hold of a tiny endoscope? Such a clever title! Love the spideys. Nice close-up into the hole. Thanks, Shannon. 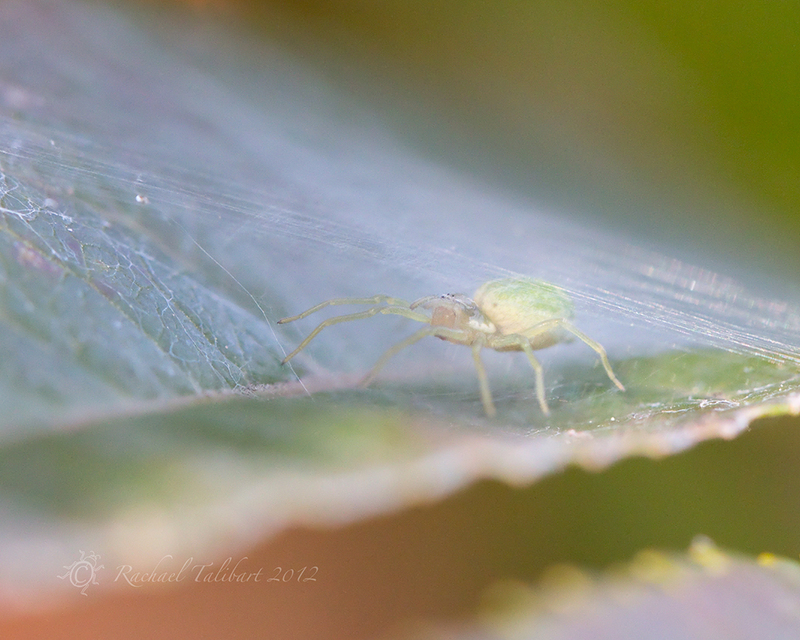 They are rather cute spiders. The nicer examples of their ilk. I swear, if spiders were bigger and more human size, not only would that be terrifying, but surely they’d be close to taking over the world? Ingenious little creatures! Also I seem to have the same issue as you with the large spiders all over the house. Oh my god. Worst thing is when you’re watching a film in the dark living room and something HUGE scuttles across the floor and under the sofa. WHERE HAS IT GONE?! I know! I live in constant fear. Luckily my son will take them out for me. He had to remove three last night. Ugh.